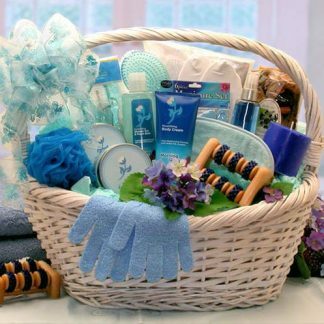 Pretty is not quite a big enough word to describe this oversized gift basket filled with an incredible collection of indulgent spa products, gifts and delicious sweets. “Magnificent”, “Stunning”, “Gorgeous”, would describe it better. 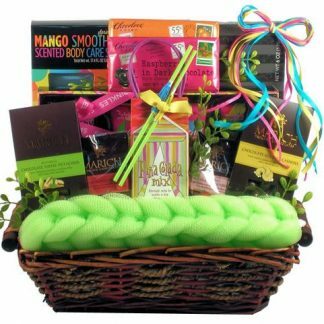 Regardless of the description, the purpose of this gift basket is simply to wow her. 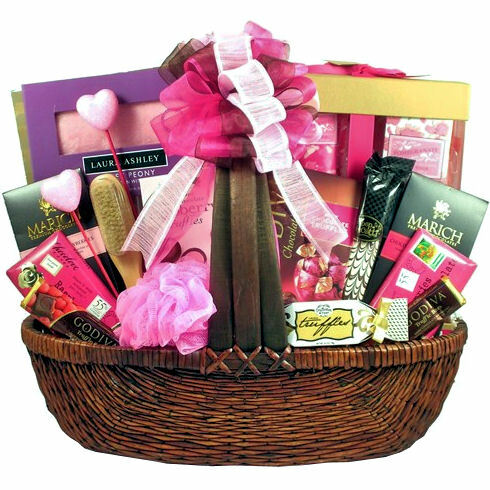 It is huge and beautiful and filled with gifts and goodies she will truly enjoy. Soft Bath Slippers, Pomegranate Scented Foot Soak and Pomegranate Scented Foot Lotion.